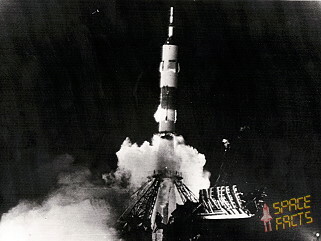 Launch from the Baikonur Cosmodrome; landing 125 km east of Dzheskasgan. The Soyuz-T was a major upgrade over previous Soyuz spacecraft, sporting solid-state electronics for the first time and a much more advanced onboard computer to help overcome the chronic docking problems that affected cosmonauts during space station missions. In addition, solar panels returned, allowing the Soyuz-T to fly up to 11 days independently as well as a redesigned propulsion system. Finally, it could at last carry three cosmonauts with pressure suits. 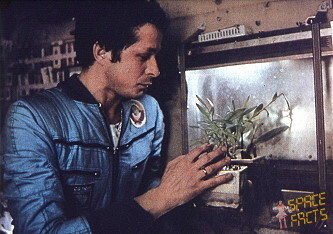 Following a one day solo flight Soyuz T-4 docked with Salyut 6 on March 13, 1981. 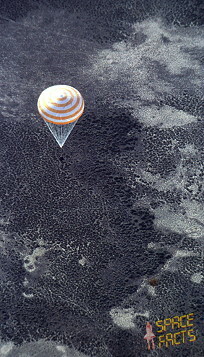 The docking with Salyut 6 was delayed after the onboard Argon computer determined it would occur outside of radio range with the TsUP. The cosmonauts became the fifth and final resident crew of the Salyut 6 space station. Soyuz T-4 arrived at Salyut 6 on March 13, 1981, having been preceded by the Progress 12 resupply craft. After unloading the Progress, it was cast off on March 19, 1981, clearing the docking port for Soyuz 39. 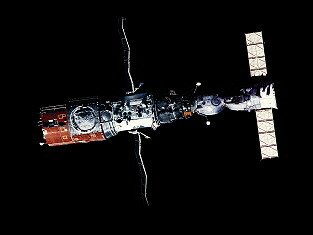 Soyuz 39 docked on March 23, 1981 with the first Mongolian cosmonaut (Zhugderdemidiyn Gurragcha) aboard. 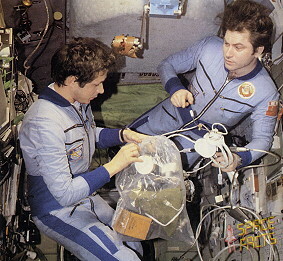 The fifth resident crew assisted the Interkosmos crew with station equipment and oriented the station according to the needs of the visiting crew's experiments. 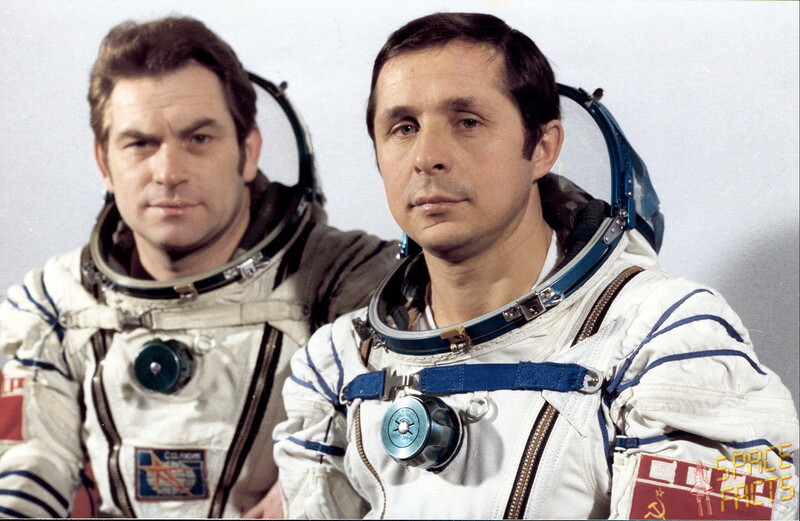 On March 24, 1981 the cosmonauts installed cosmic ray detectors in the work and transfer compartments. On March 26, 1981 the cosmonauts performed the Illyuminator ('viewing port') experiment, which studied the degradation of the station's viewports. On March 27, 1981 Vladimir Kovalyonok and Viktor Savinykh used the Gologramma ('hologram') apparatus to image a viewing port damaged by micrometeoroids. They repeated this March 28, 1981, when they also collected samples of the station's air and microflora and removed the cosmic ray detectors for return to Earth. March 28, 1981 and March 29, 1981 were largely devoted to studies of Mongolia from space. The visiting crew checked out their spacecraft on March 29, 1981. The visiting crew departed the next day, leaving the fifth resident crew alone aboard the station until May 15, 1981. 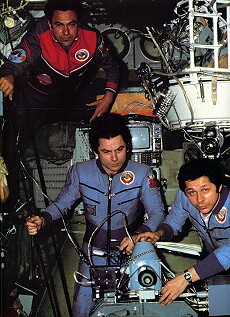 In mid-May 1981, Vladimir Kovalyonok and Viktor Savinykh replaced the Soyuz T-4 probe with a Salyut drogue. This may have been an experiment to see if a Soyuz-T docked to a space station could act as a rescue vehicle in the event that an approaching Soyuz-T equipped with a probe experienced docking difficulties and could not return to Earth. On May 15, 1981, Soyuz 40 arrived. This was the last flight of the Soyuz ferry model and the last Soyuz spacecraft to dock with Salyut 6. 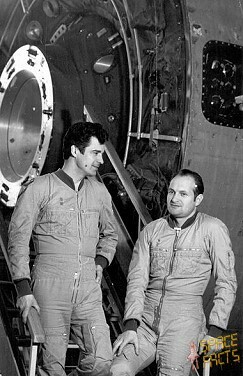 It also ended the first phase of the Interkosmos program by carrying Romanian cosmonaut Dumitru Prunariu and Soviet cosmonaut Leonid Popov to the station. Dumitru Prunariu studied Earth's magnetic field. Earth observations had to be delayed until the last day of his flight, when Salyut 6 at last passed over Romania in daylight. 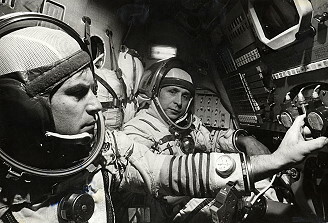 During this time the crew also tested the station's orientation system. 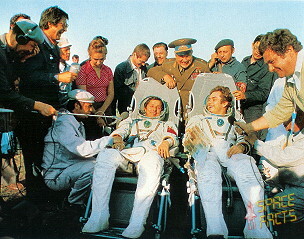 The fifth resident crew departed on May 26, 1981 leaving the Soyuz T orbital module attached to the station for five days. This procedure was first followed on Soyuz-T 3, though then the module was left attached to the station for only a few hours.